Today you find yourselves all equally blessed. For I have the pleasure of introducing to you to a king, sired by the goddess of chaos herself. A king who can trace his ancestry beyond the invention of the wheel. We first met him among the jungle ruins, as he entertained a young man cub, asking that he share the secrets of conflagration and illumination. Here in the jungle ruins, as self proclaimed king of the lawless monkey tribes, he still searches to unlock the mystery of man’s red flower. 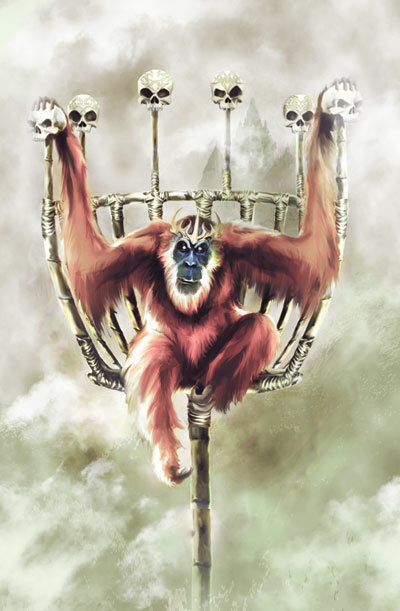 And so my lords and ladies, without further ado, I give to you, the seeker of flame, the sworn enemy of the serpent and tiger alike, the enforcer of the lawless, the king of the swingers, on his own sort of Promethean quest, the admittedly mad King Louie.